【C】位域的相邻顺序-技术宅的结界 - Powered by Discuz! An implementation may allocate any addressable storage unit large enough to hold a bitfield. If enough space remains, a bit-field that immediately follows another bit-field in a structure shall be packed into adjacent bits of the same unit. If insufficient space remains, whether a bit-field that does not fit is put into the next unit or overlaps adjacent units is implementation-defined. 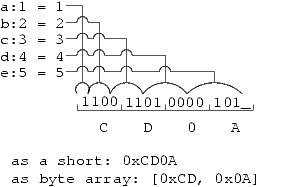 The order of allocation of bit-fields within a unit (high-order to low-order or low-order to high-order) is implementation-defined. The alignment of the addressable storage unit is unspecified. 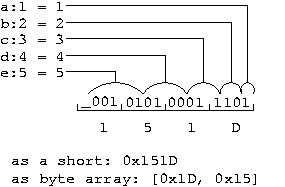 Bit-fields are always assigned to the first available bit, possibly constrained by other factors, such as alignment. That means that they start at the low order bit for little-endian, and the high order bit for big-endian. This is the "right" way to do things. 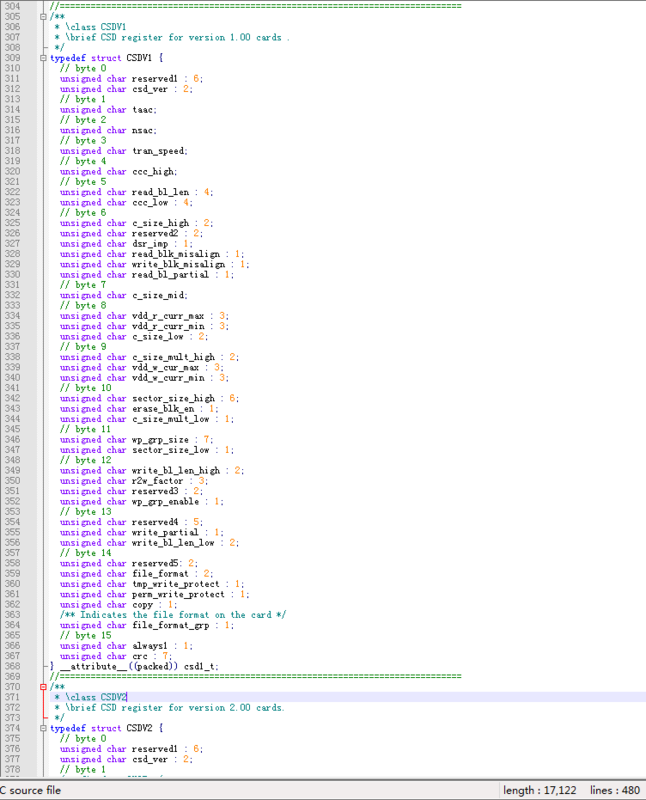 It is very unusual for a compiler to do this differently. # error "Please fix <bits/endian.h>"
GMT+8, 2019-4-19 22:50 , Processed in 0.115724 second(s), 39 queries , Gzip On.